Uncle Mike Handyman Services is owned and operated by Mike Hardy. 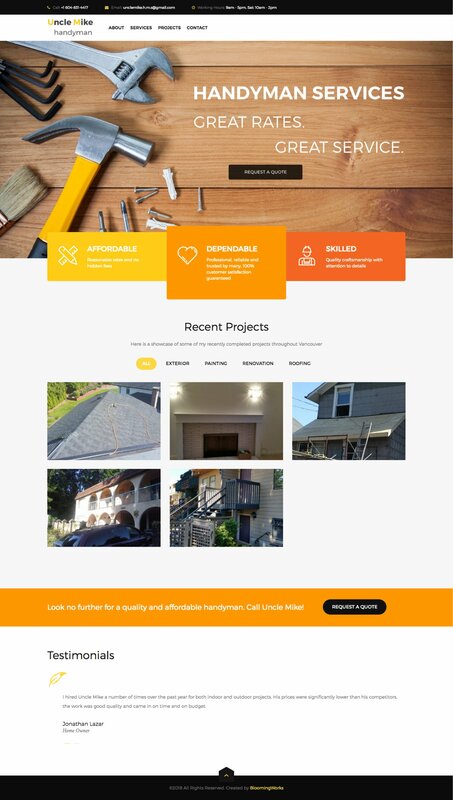 His company provides skilled, efficient and affordable handyman services around lower mainland Vancouver. 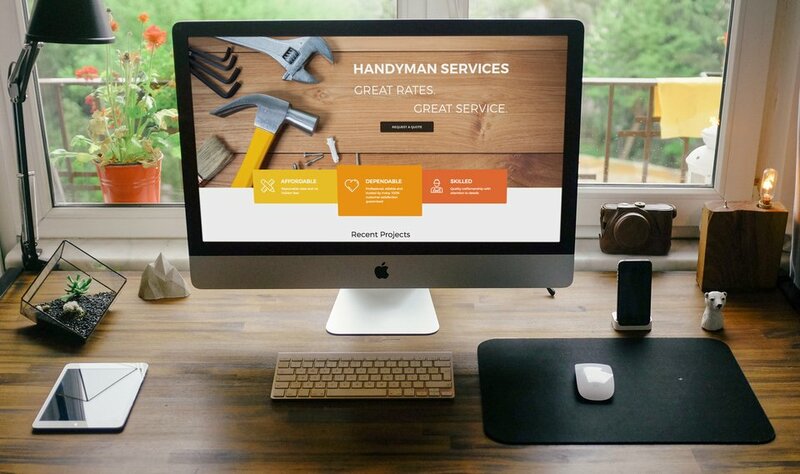 Mike wanted a budget-friendly website to showcase his work and also promote his business. He didn’t want a lot of content on the website and it had to be mobile-friendly. We went with a very masculine tone to this website. The colour palette consists of just two main colours – Black and Yellow. The website itself has a very easy to use interface, works well on any device and has project wise galleries for showcasing different areas of work. The website has been built in WordPress and is completely editable by the client.